Ohad Naharin is the House Choreographer of Batsheva Dance Company and the creator of the Gaga movement language. Born in 1952 in Mizra, Israel, he began his dance career with Batsheva in 1974 and made his choreographic debut in New York in 1980. In 1990, Naharin was appointed Artistic Director of Batsheva Dance Company and established its junior division, Batsheva – the Young Ensemble. He has created over thirty works for both companies and set pieces on other companies including Nederlands Dans Theater, the Paris Opera Ballet, and Les Grand Ballets Canadiens de Montréal. In addition to his stagework, Naharin developed GAGA, the innovative movement research and daily training of Batsheva’s dancers that has spread globally among both dancers and non-dancers. After almost thirty years of leading Batsheva, Naharin stepped down as Artistic Director in 2018, and continues to serve as House Choreographer. Batsheva will also continue to be the home of Ohad’s research, development, and teaching of Gaga. A citizen of both Israel and the United States, Naharin currently lives in Israel with his wife, dancer and costume designer Eri Nakamura, and their daughter, Noga. Gili Navot is a dancer, choreographer, teacher, and the Artistic Director of Batsheva Dance Company. Navot grew up in Haifa, Israel, where she began her dance training at Reut School of the Arts. In 1999, Navot joined Batsheva - the Young Ensemble under the direction of Ohad Naharin, and advanced to Batsheva Dance Company two years later, where she performed works by Naharin, Sharon Eyal, and Mats Ek. In 2006, she won the Yair Shapira Award for Excellence in Dance. After leaving Batsheva in 2008, Navot continued to work with Naharin, teaching Gaga and restaging his works. She also assisted in the restaging of William Forsythe’s Double/Single for the Opera Project in Tel Aviv. As an independent choreographer, Navot created Raft (2009), Check In (2010), Subject to Change (2011), and May Contain Nuts (2012). 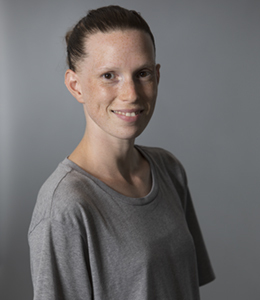 In 2016, Navot graduated with honors from the Kibbutzim College of Education, Technology, and the Arts with a BA and teaching certificate in dance education. A practitioner of yoga, BMC, and tai chi, and a certified ballet teacher, Navot currently lives with her husband, Raz, and their three children in Tel Aviv. 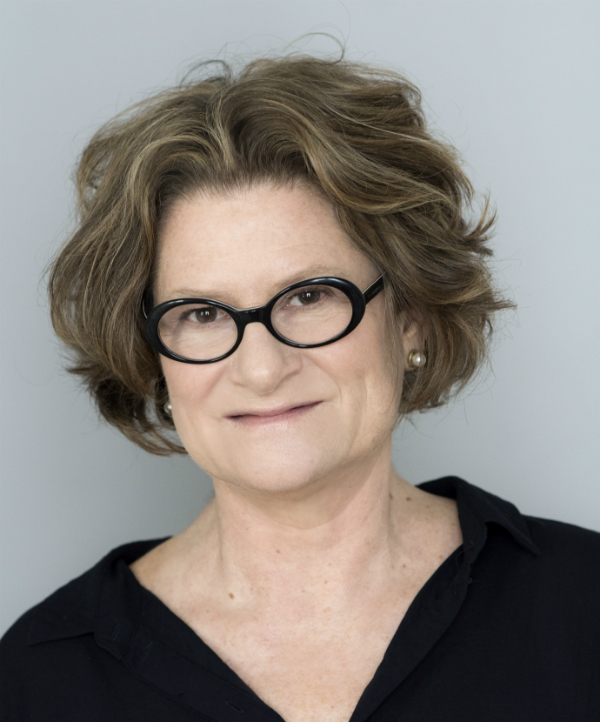 Dina Aldor (born 1957, Jerusalem) has been a cultural activist in Israel and abroad for over three decades. Amongst her activities, Dina worked with Lia van Leer in the establishment of the Jerusalem Cinematheque. For twenty years Dina co-directed Multi Media, which was then Israel's leading production company. Reputed for its artistic audacity, Multi Media's extensive work has brought the world's leading companies and artists across the wide spectrum of the performing arts. Dina is active in various international cultural forums. Executive Director of Batsheva Dance Company since 2009. Yaniv Nagar was born in Tel Aviv in 1971. He began his dance studies at the Beit Danny Community Centre, under the direction of Batya and Ofra Hanoon. He graduated from the Thelma Yalin High School and studied at the Bat Dor School of Dance between 1987 and 1992, under the direction of Janet Ordman and Roz Sobol. Yaniv won recognition as an outstanding dancer within the frame work of the IDF, and was the recipient of a scholarship from the America-Israel Cultural Foundation. Between 1992 and 1996 he was a dancer with the Ballet de Monte Carlo, under the direction of Jean-Christophe Maillot. He joined the Batsheva Dance Company as a dancer in 1996, until 2002. 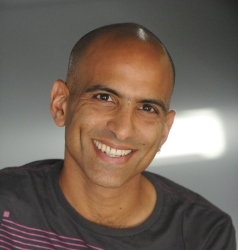 Since 2002 Yaniv is Batsheva Dance Company's Company and stage Manager. In 2007 he received the Yair Shapira Award for his contribution to dance in Israel. Luc Jacobs was born in Belgium. He started dancing at the age of 10. Among others, Luc danced with the Royal Ballet of Flanders in Belgium, Deutsche Opern Berlin, Les Ballets de Monte-Carlo and Northern Ballet Theater, UK. In 2002 Luc joined the Norwegian Carte Blanche and later that year, Batsheva Dance Company. In 2005 he served as assistant to Stijn Celis, Artistic Director of the Stadtheater in Bern, Switzerland, where he created many choreographic works. 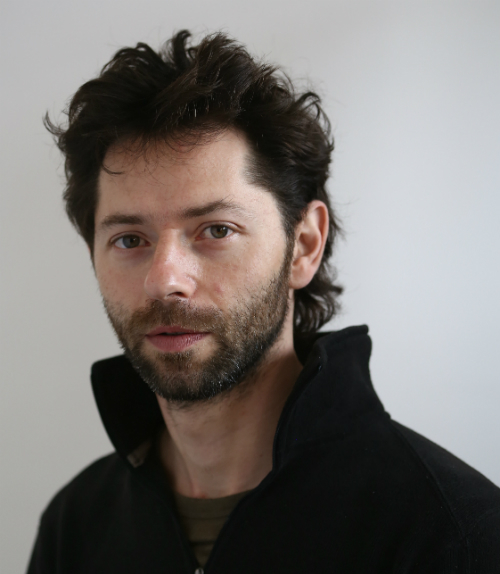 In 2005 Luc was appointed Rehearsal Director and Ballet Teacher of Batsheva Dance Company. In 2010 he became Batsheva Dance Company's Senior Rehearsal Director. Idan was born in Kiryat Bialik in 1983, and graduated from WIZO's high school theater department in 2001. After completing three years of military service in 2004, he studied physical theatre in Tel Aviv, and graduated from Teatron Haguf School & Stage for Physical Theatre in 2005. From 2005-2007, he was a dancer with Batsheva - the Young Ensemble, and from 2007-2008, he danced in the international cast of Ohad Naharin’s Kamuyot, as part of a project of the Riksteatern. Since 2008, he has freelanced as a dancer in projects at the Klipa Theater and Suzanne Dellal Centre, including Barak Marshall's productions, Rooster and Monger. He has also performed in works by the Dana Ruttenberg Dance Group, Michal Herman and more. Since 2010, he has been developing his own voice as a choreographer, creating for the Suzanne Dellal Centre and Ensemble Kaet, among others. In 2012, Idan was the manager of the first Gaga teachers training program, and in 2015 he was a Schusterman Visiting Israeli Artist at Swarthmore and Bryn Mawr Colleges in the U.S.
Idan has been a Gaga teacher since 2007. Born in Israel, Paran danced in Batsheva - Young Ensemble from 2007-2010, where she performed works by Ohad Naharin and Sharon Eyal. Since 2008, Noa has been teaching Gaga and Batsheva Dance Company repertoire in Israel and abroad. Paran graduated with honors from Bezalel Academy of Art and Design, Jerusalem with a BA in Visual Communication, and has worked as a freelance dancer with Noa Zuk and Ohad Fishof, Luc Jacobs, Maya Levi and Hannan Anando Mars. Paran is a recipient of the America-Israel Cultural Foundation Scholarship, and in 2018 was appointed Rehearsal Director for Batsheva - The Young Ensemble. Kelvin Vu grew up near Boston, Massachusetts, and attended Yale University, where he received his BA in Environmental Studies. From 2011-2013, he trained at the San Francisco Conservatory of Dance under the direction of Summer Lee Rhatigan. He then moved to Tel Aviv to join Batsheva - the Young Ensemble where he danced for three years and performed the repertory of Naharin, as well as creations by Hofesh Shechter, and Sharon Eyal. 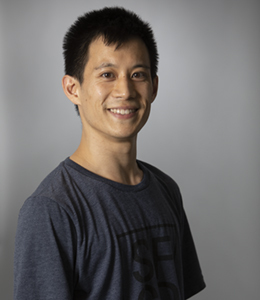 As a freelance dancer, Kelvin has worked with Noa Zuk and Ohad Fishof, Roy Assaf, and Dafi Altabeb. 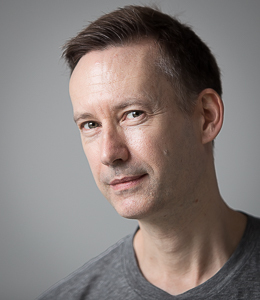 In 2017, Kelvin rejoined Batsheva as assistant to the Artistic Director. 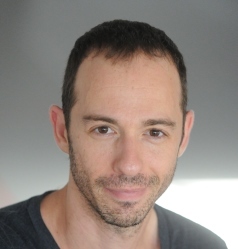 Hillel Kogan: Director of Educational Programs / Artistic Director - "Batsheva Hosts"
Hillel Kogan was born in Tel Aviv in 1974. He studied at the Bat-Dor School of Dance and at the Merce Cunningham Studio in New York. Hillel was a member of Batsheva - the Young Ensemble from 1995-1996, and he also danced with Nomades Dance Company in Switzerland and the Gulbenkian Ballet in Portugal. Since 1996, he has created 15 works for various companies and festivals in Israel and abroad. Hillel is an active member of the contemporary dance scene in Israel as a performer, choreographer, teacher, and improvisation artist. Hillel has served as Rehearsal Director of Batsheva - the young Ensemble from 2005 until 2016. From Season 2016-2017, Hillel is the new Artistic Director of "Batsheva Hosts" series, and manages Batsheva's educational activities for outstanding young dancers. In 2010 he received the Yair Shapira Award for the advancement of dance in Israel. In 2015 was appionted by the Minustry of Culture as Co-Artistic Director of the Curtain Up Festival, and was awarded the prestigious Landau Prize for the Arts.